The hummingbird feeders at Stokes Nature Center are a busy place this time of year. Little bullets of metallic green zoom in and out jockeying for position, while others rest or await their turn in the branches of nearby box elder trees. The birds are a great source of wonder and amusement for staff and guests alike. 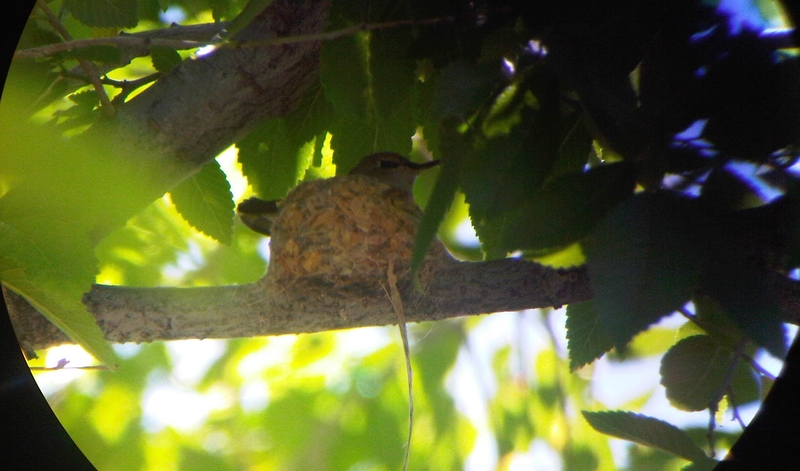 June signals the start of nesting season for Utah hummingbirds. At this point in the year, the birds have mainly recovered from their lengthy migration from places as far away as Central America, and are ready to focus on their next set of challenges: establishing a territory, courtship, mating, and rearing young. Hummingbird nests are a wonder all their own. Tiny and cup-like, they are generally found affixed to small branches near riparian areas. Nests are constructed primarily of plant materials and are lined with plant down such as the fluffy seeds produced by cottonwood trees. Materials used on the exterior of the nest vary from species to species. Black-chinned hummingbirds use leaves and flowers, while Broad-tailed hummingbirds are partial to decorating with lichens or shredded bark. 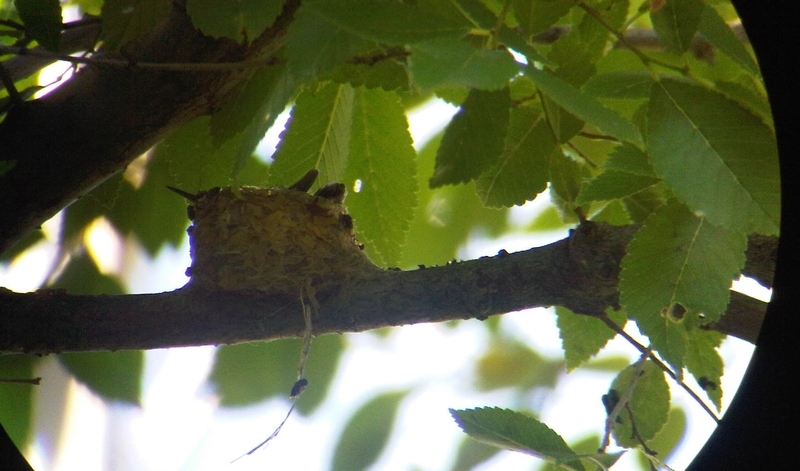 Regardless of the exterior appearance, hummingbird nests have one important material in common – spider webs. Hummingbirds collect the webs and use them to plaster the outside of the nest, which serves two important purposes: acting as a glue that holds nest materials together while at the same time providing some flexibility that allows the nest to stretch and grow with the developing young. Nests are occasionally constructed on the foundation of last year’s home, and two eggs around half-an-inch in length are laid and incubated by the female for about 16 days before hatching. Young will fledge and join their mother at your feeder about 20 days later. If nesting is successful, the family migrates south in the fall and will return to the same general area next May. Finding food in early spring, however, is becoming more of a challenge each year to hummingbirds in the American West. A recent study published in the journal Ecology shows that hummingbird migrations and spring flower blooms are becoming out of sync. Broad-tailed hummingbirds in particular rely upon the nectar of petite, yellow glacier lilies – one of the first flowers to bloom in spring. Scientists have found that due to global temperature increases glacier lilies are blooming about 17 days earlier than they did in the 1970’s. The birds, however, haven’t altered their migration timing and so often arrive to find the flowers already in full swing. 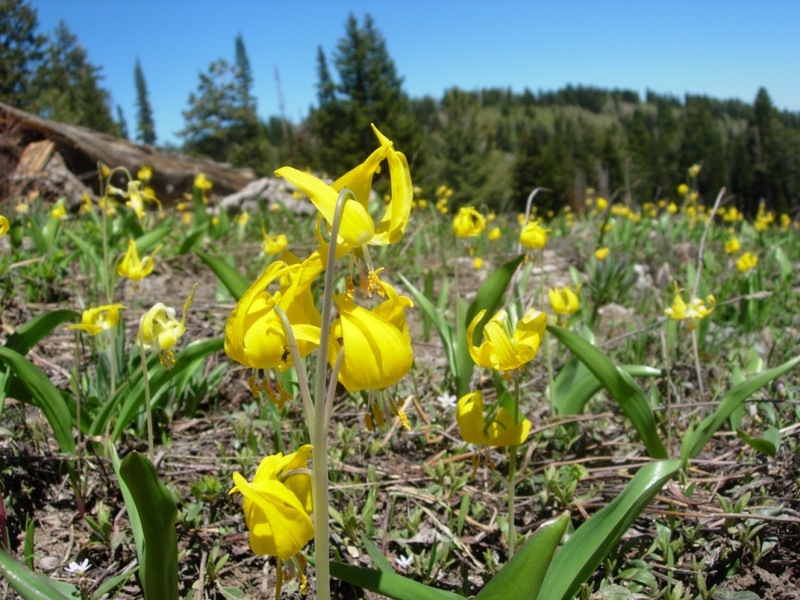 If this trend continues, scientists predict that within the next 20 years, the birds could miss the glacier lily bloom entirely. Hope lies in the hummingbirds’ ability to adapt– either by migrating farther north to places where lilies bloom later, or shifting their own migration time to match the changing bloom dates. 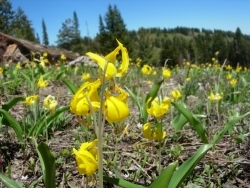 Photos of glacier lilies, Utah hummingbirds, and their nests, can be found on our website, www.wildaboututah.org. Thank you to the Rocky Mountain Power Foundation for supporting the research and development of this Wild About Utah topic. Ehrlich, P.R., Dobkin, D.S., Wheye, E. (1988) The Birder’s Handbook: a field guide to the natural history of north American birds – The Essential Companion to Your Identification Guide. Simon & Schuster/Fireside Books: New York. Depending on where you are in Utah, fall is just around the corner. Or it may already be here. 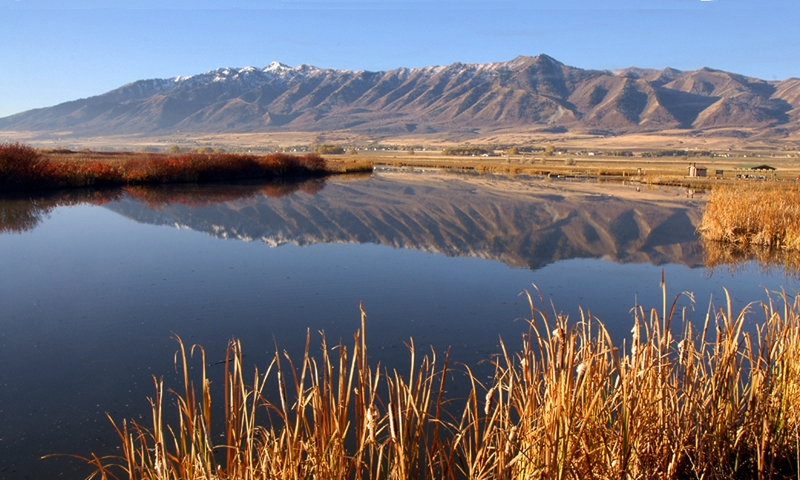 That means it’s time for many of our Utah birds to migrate south to warmer temperatures and more abundant food sources. Here in Logan Canyon, we’re getting ready to bid farewell to our charismatic little friends, the hummingbirds. In spite of its great size, only 16 different hummingbirds regularly found on the North American continent. Interestingly, –except for the Ruby-throated Hummingbird—all of these species breed west of the Mississippi River. In Utah—roughly comparable to the size of Ecuador—5 species are regular visitors. 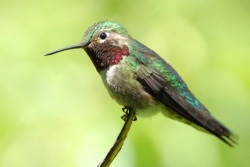 Broad-tailed hummingbird and the black-chinned hummingbird are the most common and most widespread. They both overwinter in Mexico. The calliope hummingbird is also seen in Utah. It is the smallest breeding bird in North America weighing about as much as a penny! The calliope is also the smallest long distant migrant bird in the world traveling up to 5600 miles in a single year. The rufous hummingbird is another long distance migrant seen in Utah, traveling from as far north as Alaska all the way down to central Mexico . There is some controversy over whether or not you should continue to feed hummingbirds in fall. 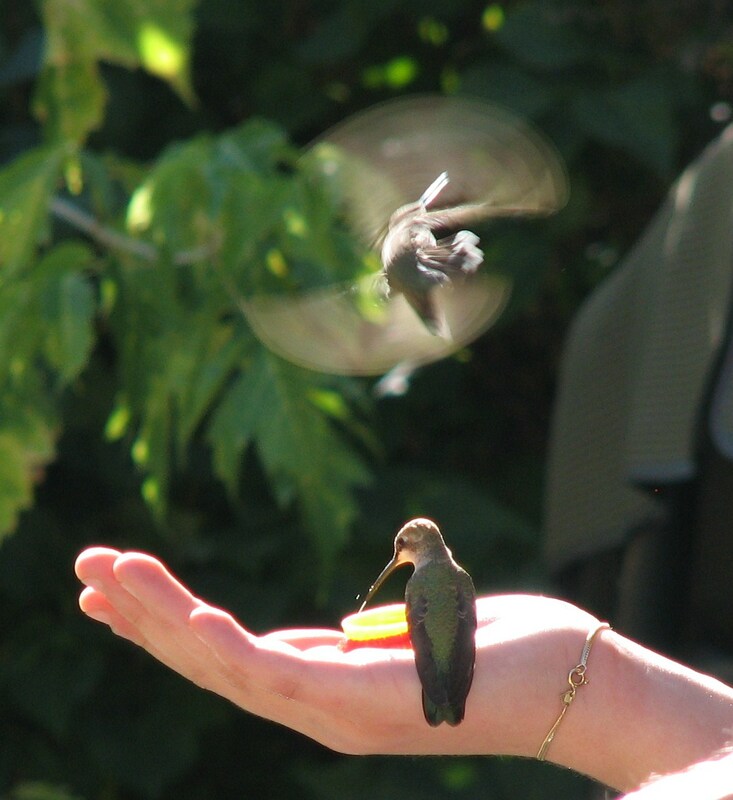 Some say you should quit feeding by late August or the hummingbirds won’t migrate. This is not true– in fact many hummingbirds begin migrating when their natural food sources are still intact. According to Audubon Society website, in the fall, you should keep your feeders up for two weeks after you see the last bird using it. The tiny birds need to double their body mass before migration, and a bit of extra nectar can only help. 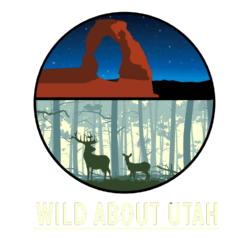 Thanks to the Rocky Mountain Power Foundation for supporting the research and development of this Wild About Utah topic. And thanks to Corrine Thul for supporting both hummingbird conservation and educational programming in Logan Canyon. Klesius, Michael. 2007. Flight of Fancy. National Geographic. Vol. 211. pp. 114-129.